LOL. See what I did with the post title? Although personally I have so many problems with the film 50 Shades of Grey and I don't even want to talk about it now, but 50 shades of lip colours do sounds like fun right? 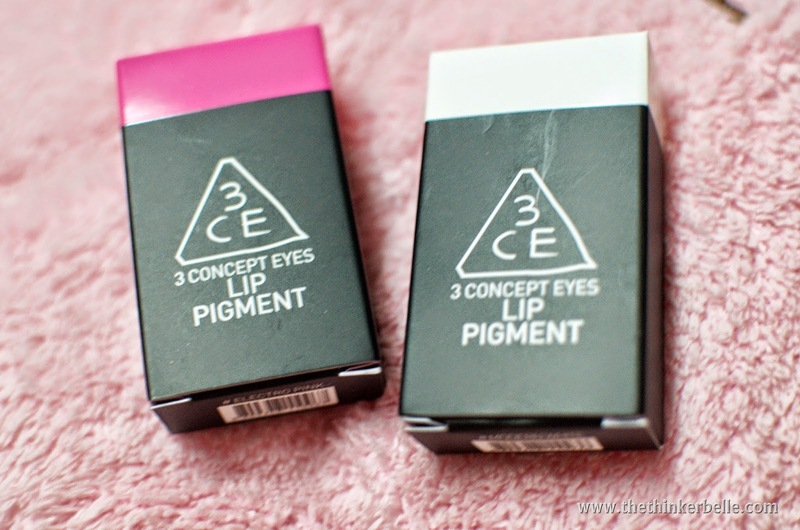 In this post, I'm going to tell you guys on how to have fun with makeup product using the 3CE Lip Pigments that I received from Muse By Watson x Butterfly Project meetup. I remember when I was little, I dreaded the time for art class as I'm definitely not very creative as others. But sometimes, I do enjoy some artsy stuffs especially when it comes to mixing water colours! Even if the final product always turned out sub par, I will always love the mixing part. Yes, I'm bad at art but I guess I'm not completely failing at it since I've taken so much liking into makeup! 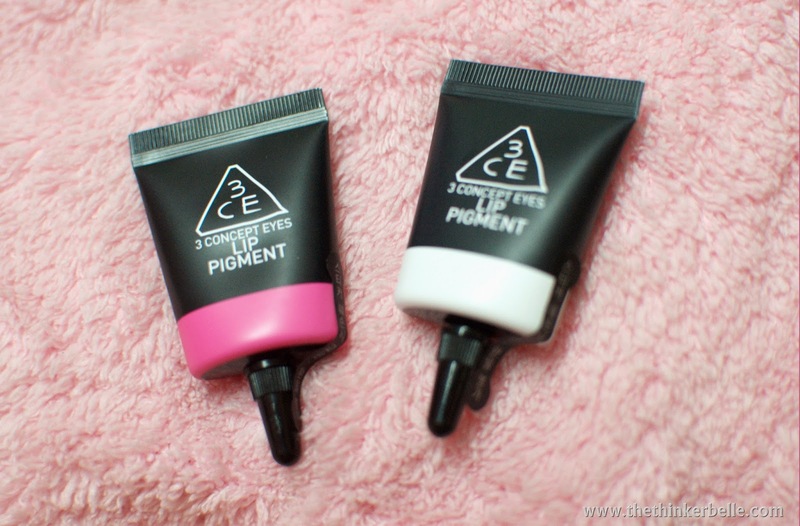 And thanks to that hobby of mine, I now get to relive my interest in mixing colours as I now use the 3CE Lip Pigment. Do you know that this product allow you to use your imagination and creativity to create new shades of lipstick that you can think of? 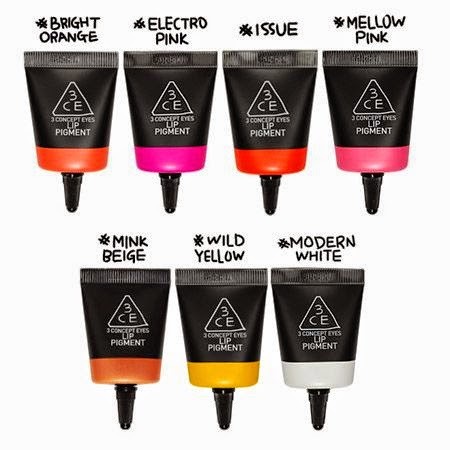 By mixing two or more colours from 3CE Lip Pigments you can create variety of shades and colours from the original one. 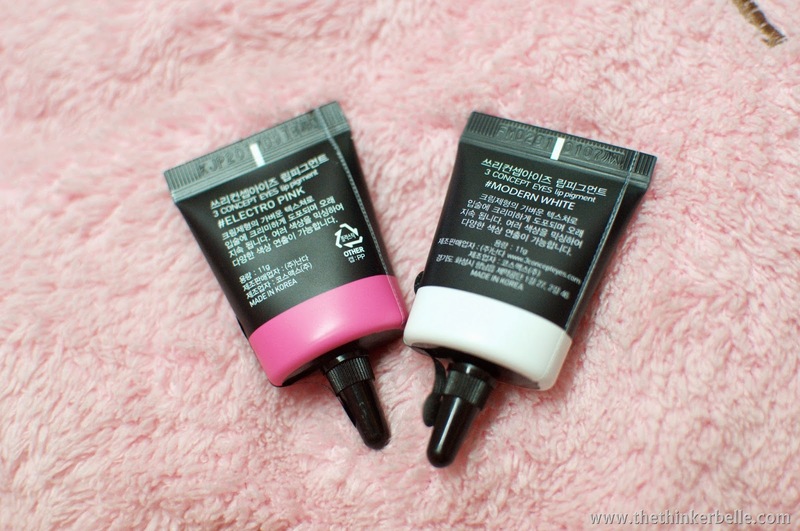 For example, the two lip pigments that I received are in the shade Electro Pink and Modern White. 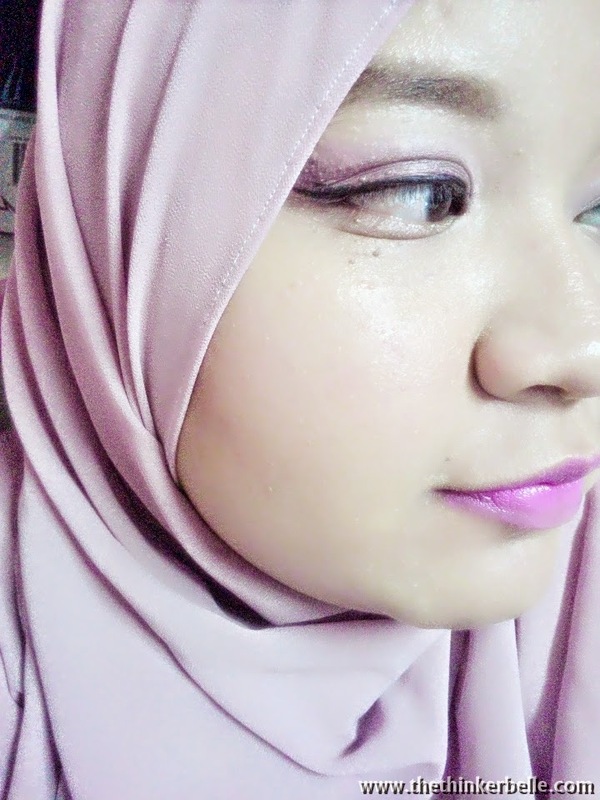 Electro Pink is a very strong and bold pink colour so on the days where I want to do a stronger looking lip look, all I have to do is take out my lip brush and apply it on my lips. But, on the days where I want to create a softer colour all I have to do is to mix it with the white lip pigment. The intensity will be different based on the mixing ratio of both colours so I can have different shades starting from a very light pink, or one or to shade softer than the original bold pink. See? From seven basic colours we can get another nine extra colours and this is just based on the chart above. I bet we can create even more if we mix more than two colours into one. Now are you bought yet? Well, there's more than that so keep on reading. These lip pigments can also be used as eyeshadow and even as blusher and all you have to do is to mix, mix and mix! To use it as a cream eyeshadow you just need to mix the product with eyeshadow powder so it'll stay on longer and as for which colour to mix with which,it is totally up to you. For blusher, mixing the pigment with liquid foundation will do the trick. Now, I have a cream blusher and I can even decide the intensity. Yay! It's highly pigmented and stays for quite a long time too. Even the blusher mix on my hand takes almost the whole day to be removed completely if I don't use makeup remover and wipe it off with tissue or even wash it up with water. The only thing that you'll have to give extra attention is that this product is a bit drying when used on the lips so make sure you apply plenty of lip balm beforehand. For the Barbie inspired makeup look above, the lip colour is achieved by mixing Electro Pink and Modern White together. The blush uses the Electro Pink pigment and was added to my foundation. The eye look was created using the Modern White pigments and mixed with some eye shadows in my stash. Pretty look using 3ce products!! Haha I really need to start my reviews of the one I got too! Thanks babe ;D I'm looking forward to your reviews too! I have their lipstick. It's not bad! their products are really great. 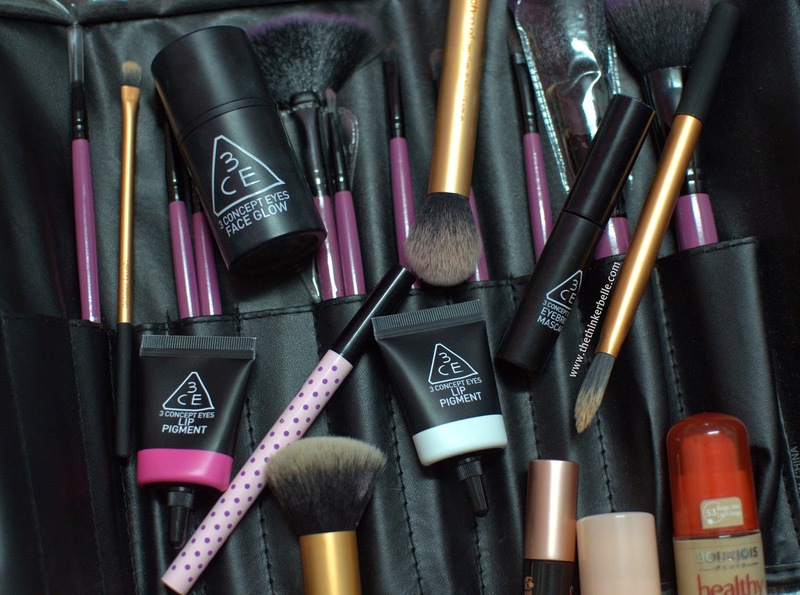 Im very newwbiee in all the makeup things, but i really enjoy reading your blog. Maybe you can gve some tips for newbie just like me ��. Tq..
Well, I'm not that expert either. But one thing I know for sure about makeup is that you need to keep practicing. Good luck!